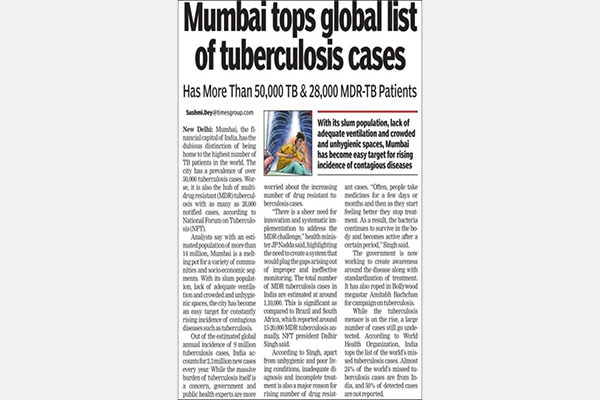 Almost 2.2 million Tuberculosis (TB) cases are reported in India each year, accounting for one fifth of the global incidence. 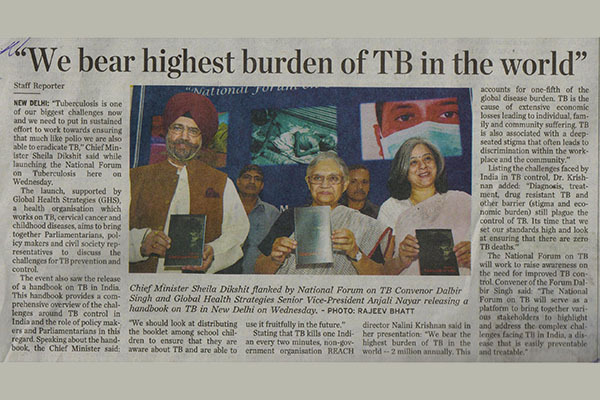 On March 24 each year, the global community observes world TB Day. 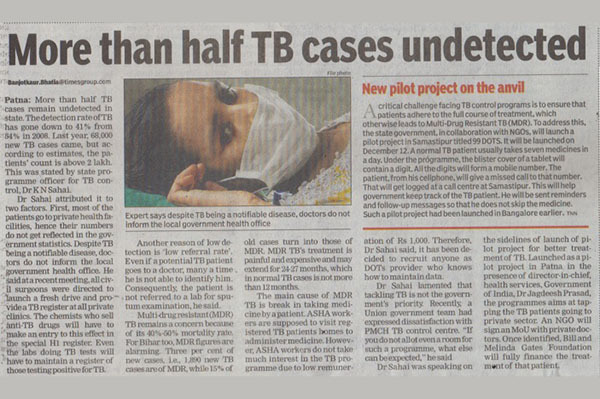 This presents an opportunity for us to talk about one of the most significant public health challenges in our country. 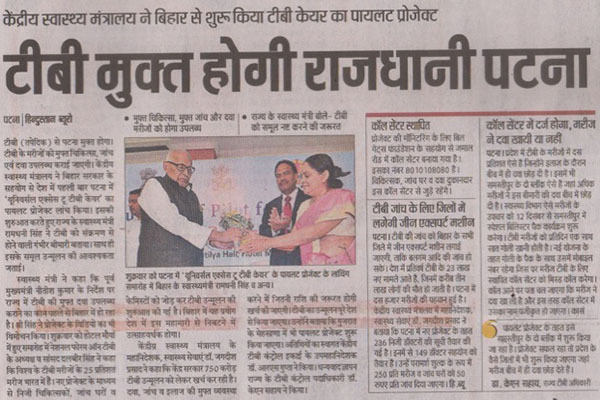 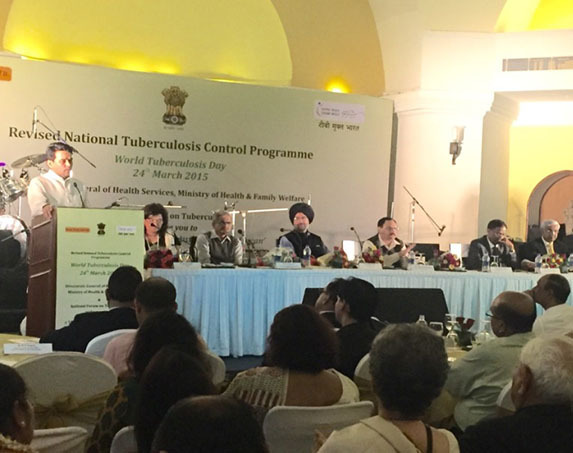 The Honourable Union Minister for Health and Family Welfare, India, Shri J. P. Nadda launched a nationwide campaign, TB Free India, to unite stakeholders to defeat TB in India. 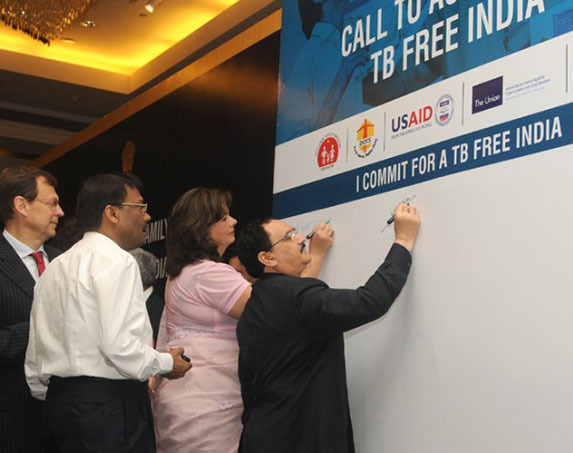 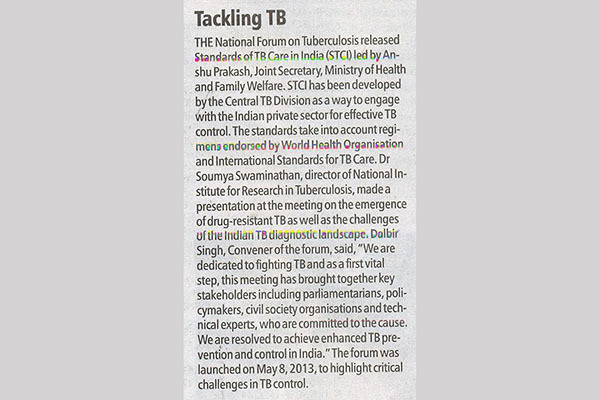 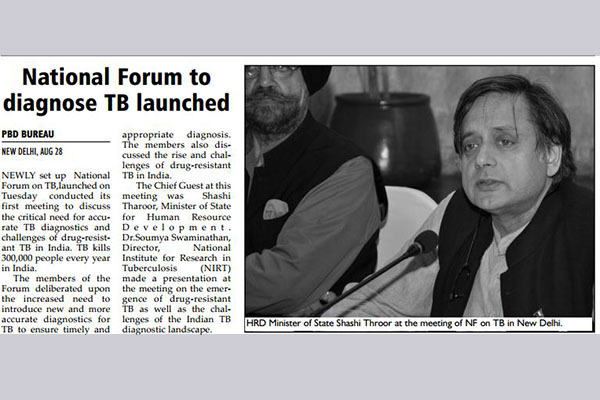 The TB Free India campaign is part of the Global Challenge TB project funded by the United States Agency for International Development (USAID). 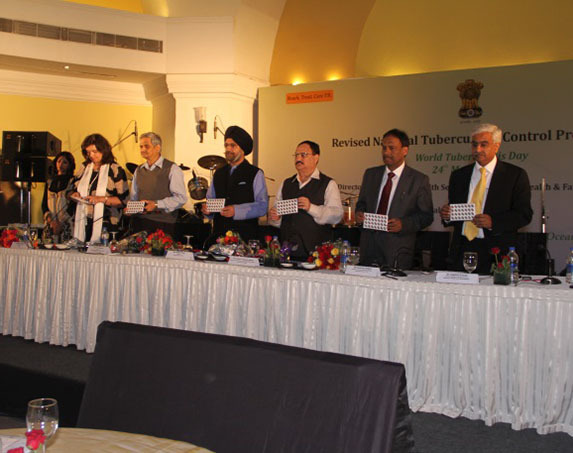 The cause of TB prevention and control received unprecedented support, bringing together Mr. J.P.Nadda, the honourable Union Minister for Health and Family Welfare, Mr. Dalbir Singh, President, GCAT, Mr. Anurag Thakur, Member of Parliament, Bharatiya Janata Party and GCAT Advisory Board Member, Dr. Nata Menabde, World Health Organization (WHO) representative to India. 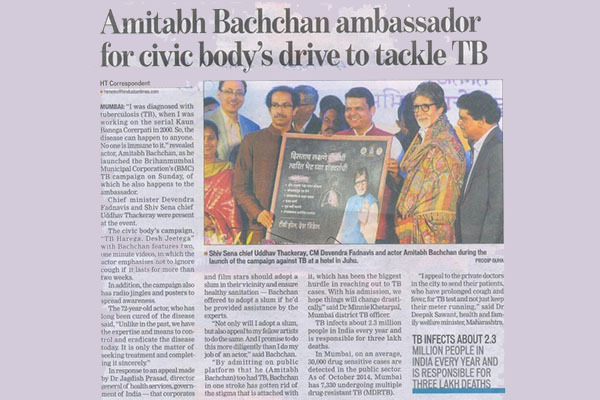 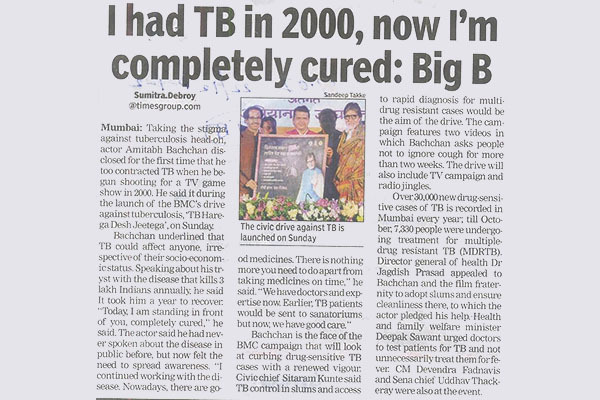 Mr. Amitabh Bachchan, who was unable to attend the event, sent a letter expressing his solidarity with all the individuals and organizations working towards the prevention and control of TB.